1 Shi'ite Muslim pilgrims gather as they commemorate Arbain in Kerbala, southwest of Baghdad. 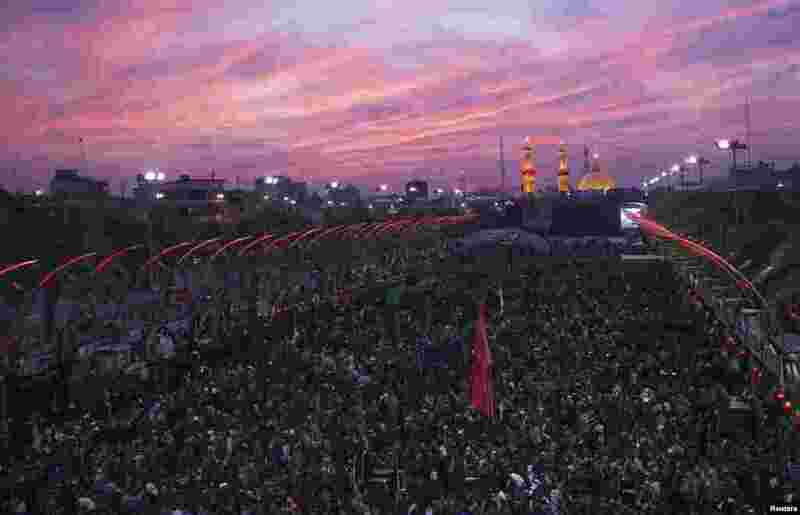 Hundreds of thousands of black-clad pilgrims from across Iraq streamed into the city a day before the culmination of Saturday's Arbain, which marks the end of 40 days of mourning for Imam Hussein, a grandson of the Prophet Mohammed. 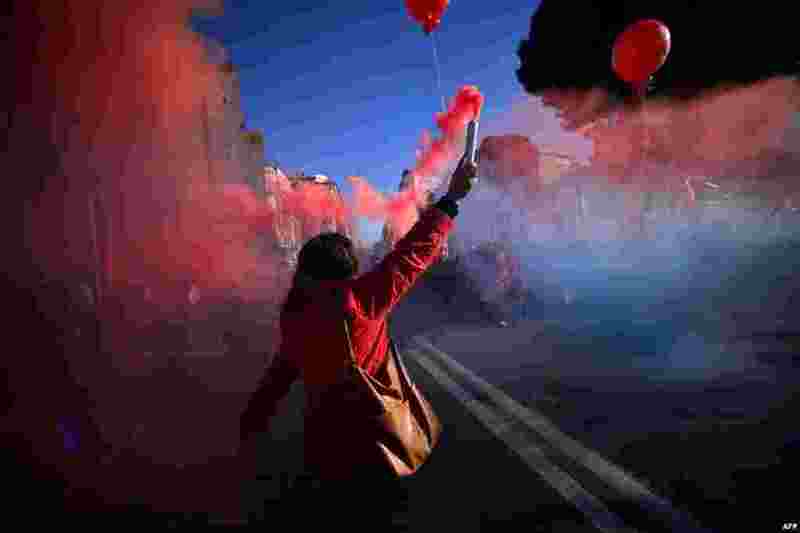 2 A demonstrator holds flares during a general strike in Rome, called by several trade unions. Unions are protesting against Italian Prime Minister Matteo Renzi's emblematic Jobs Act legislation which aims to shake up the labor market by making it easier for companies to hire and fire. 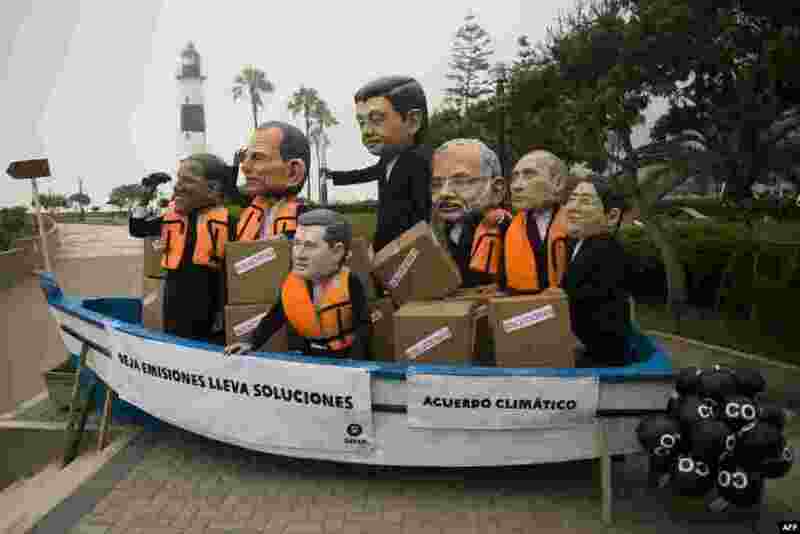 3 Activist depicting U.S. President Barack Obama, Australia's Prime Minister Tony Abbott, Canada's Prime Minister Stephen Harper, China's President Xi Jinping, India's Prime Minister Narendra Modi, Russia's President Vladimir Putin, and Japan's Prime Minister Shinzo Abe demonstrate on the sidelines of the U.N. COP20 and CMP10 climate change conferences being held in Lima, Peru. 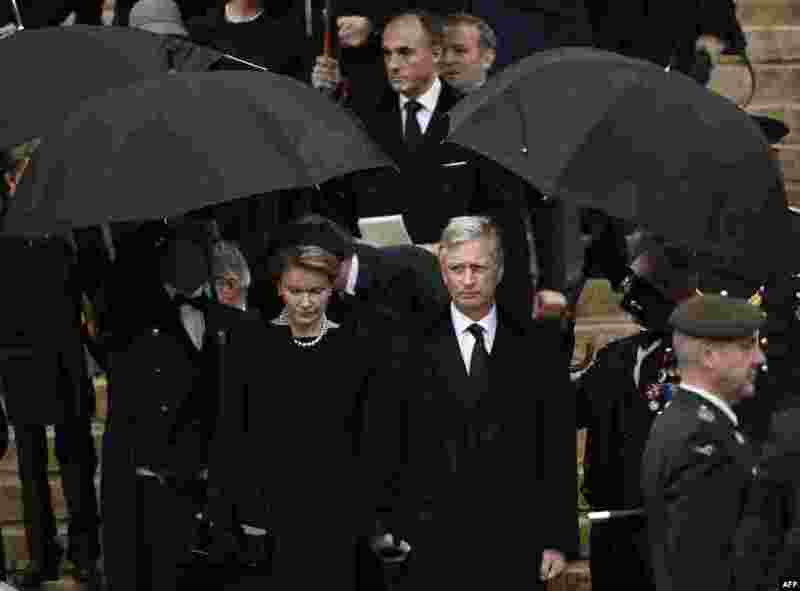 4 Belgium King Philippe and Queen Mathilde and Prince Lorenz leave the funeral service of the late Queen Fabiola, at the Cathedral of St. Michael and St.Gudula, in Brussels. Queen Fabiola passed away Dec. 5, at the age of 86.